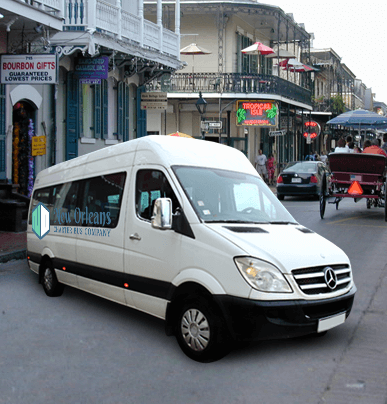 The 20-passenger minibus makes a wonderful wedding shuttle, airport shuttle, or school field trip bus. Sized just-right for medium to small groups, these minibuses become even more comfortable when you choose to add premium features to the experience. 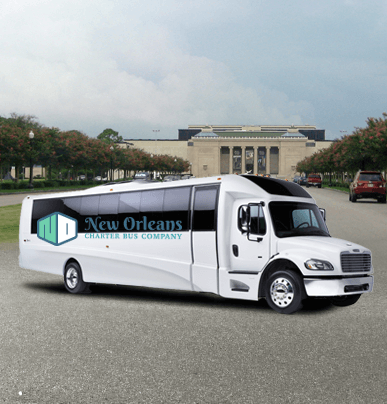 A small trip across the city turns into a noteworthy journey with just a few well-placed upgrades—ask us what we can do for your group. 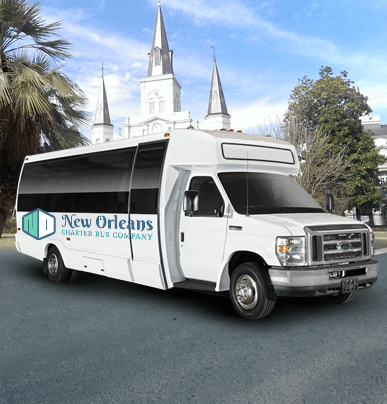 Not only will riders enjoy luxurious amenities, but organizers that book with us always love knowing that the 20-passenger minibuses are reinforced with safety-enhancing features. 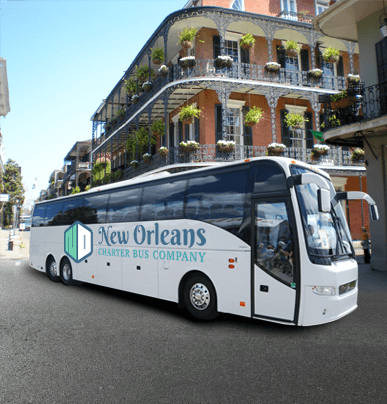 These buses also have ADA functionality (upon request)—all you have to do is call us at 504-315-2090, and we will give you our best suggestions for your perfect New Orleans transportation.